Why police might pull over self-driving cars. What will your car have to do for the police to pull you over when you’re in an autonomous car? Highway and traffic police will still pull over autonomous cars for a few things. 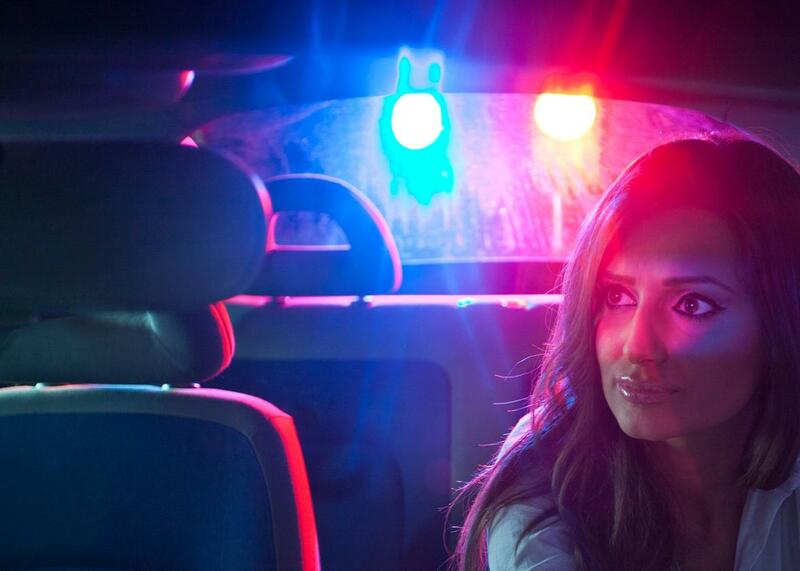 The list of offenses that commonly get you pulled over on the road is fairly well-known: speeding, using your cellphone while driving, tailgating, driving while black, etc. But in a few years, this list may be as anachronistic as 19th-century “horseless carriage” traffic laws, as autonomous cars render typical traffic stops unnecessary and unwarranted. David Strickland, former administrator of the National Highway Traffic Safety Administration, has explained that self-driving cars have the “potential to change not only the way that vehicles operate, but also the way we at NHTSA regulate them. Most of NHTSA’s safety standards assume the need for a human driver to operate” the car. Strickland has a point. Truly autonomous cars don’t speed, don’t require you to pay attention, and are designed to maintain safe distances from other cars—making most traffic laws and regulations obsolete. There is lots of speculation about the future of jobs as autonomous technology and artificial intelligence become ubiquitous. Will traffic cop be one of the first jobs lost to our robot overlords? Equipment violations: The car may be a safe driver, but that doesn’t mean it takes care of itself. Cars still need to be maintained properly, and state and federal regulations designed to ensure that cars are in safe condition will likely remain. However, even here, autonomous cars may change the criteria we use to make sure cars are safely maintained. Prohibitions against window tints and burned-out headlights and taillights are largely designed to ensure visibility, which is important for human drivers—not so much for autonomous vehicles with advanced sensor technology and vehicle-to-vehicle communication systems. Other equipment requirements intended to ensure accountability (properly registered license plate tags) and passenger safety (windshield and rear bumper standards) will continue to enable police to pull your car over. Seat belt violations: Seat belts will still serve the same safety purpose when cars drive themselves, so states with seat belt laws aren’t likely to change them. The corollary of this is that states that have lax or nonexistent seat belt laws will likely see little need to update those laws in response to autonomous cars. So, New Hampshire—keep doing you. Driving too slowly: It is unclear if a slow-moving, self-driving vehicle will be viewed by law enforcement as warranting a citation, but as it is the only reason a self-driving car has been pulled over to date, I feel compelled to mention it here. Passengers engaged in illegal activities in the car: Under current law, police are permitted to use the plain-sight rule to look in cars they pass on the road and make traffic stops based on potentially illegal activity they witness in the car (e.g., drug use, open container violations, etc.). Police will continue to look in cars during the age of autonomous vehicles, and will stop them as appropriate. However, it is possible that some activities that are illegal in your car now, like open container violations, will not be illegal when no person in the car is responsible for driving it. The car is not in autonomous mode and a real person is driving the car: When a human driver disengages the autonomous mode and re-engages Fahrvergnügen to drive manually, all the old rules will likely still apply. Your blood alcohol level may not matter when the car drives itself; it will matter when you drive the car. Similarly, just because self-driving cars don’t tailgate or drive erratically doesn’t mean a human driver won’t be pulled over for that behavior. There will be enough traffic police to watch for that. However, even when the police pull over an autonomous car, there is some question as to who gets the ticket. Companies like Google, Volvo, and Mercedes have stated they are liable for damages that result from accidents their self-driving cars cause while in autonomous mode. There’s some thought that manufacturers should be liable for traffic violations caused by their autonomous technology as well. In contrast, state laws commonly assign liability to either the person in the driver’s seat or (if the driver’s seat is empty) the person who turned the autonomous function on. So this will be an open question for the near future. It’s also uncertain how extensively law enforcement will be able to search an autonomous car if you are arrested after being pulled over in one. During an arrest, the police can search a car if it is “reasonable to believe evidence relevant to the crime of arrest might be found in the vehicle.” With that standard, what sorts of arrests might permit a full search of your self-driving car’s computer under the Fourth Amendment? At what point is a warrant required, and how particular does any warrant have to be? The Supreme Court is already considering these questions, in part, through cases that look at government searches of cellphones, but the Fourth Amendment’s complete impact is still unclear. With fewer police officers conducting traffic stops and fewer reasons to pull autonomous cars over, autonomous vehicles may offer more significant benefits than letting you Netflix-and-chill: diminished racial profiling in traffic stops. Law enforcement officials are able to exercise considerable discretion when pulling cars over—how fast is too fast over the speed limit, what qualifies as distracted driving, what qualifies as driving too close to the next car. Many violations permitting that discretion will be largely eliminated after autonomous cars are widespread, meaning the ability of offending police officers to racially profile during traffic stops will be curtailed. Other technologies that remove human discretion from traffic violations are already producing similar results. For example, stoplight cameras reduce the disparity between the racial composition of the communities where they’re installed and the people who are fined compared to similar citations issued by police officers. Although that’s a best-case scenario, it’s almost certain many of the traffic violations that will get you pulled now will be a nonissue 20 years from now. Worrying about texting while driving will be as anachronistic as worrying about three persons conducting your locomotive.